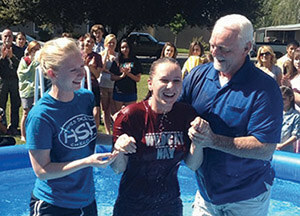 Southern Baptist campus ministry in California showed dramatic increases in several categories for the 2014-15 school year. California has nearly 30 full-time Baptist campus ministers, most of whom raise their own support. One California Southern Baptist Convention church has a full-time college minister, and four have “college ministry combination positions,” reported Daryl Watts, CSBC student and family specialist. 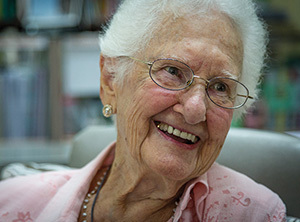 Lorena Mayhugh has invested in the lives of thousands of students during her 10 years as a volunteer English teacher at the Baptist Student Center, Bangkok, Thailand Jay Juntasa*, however, has become like a grandson to her, and she like a grandmother to him. California Southern Baptists are being asked to pray for and give to the 2015 California Mission Offering, using the theme, “Until It’s Finished,” based on Philippians 1:6. The statewide goal is $425,000. 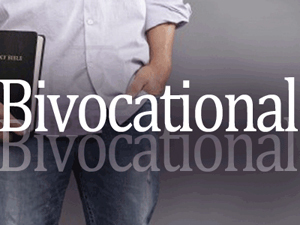 It's called bivocational, a word spell-check may not recognize but a concept that is as old as the church herself.